Air temperature is measured in the shade and out of the wind or a draft. If you leave your animalarm in full sunlight it will probably give a higher reading than the actual air temperature. Which cell phones are compatible with the animalarm? The animalarm is compatible with all text enabled cell phones. How far away can I go and still receive a trigger temperature text or email? 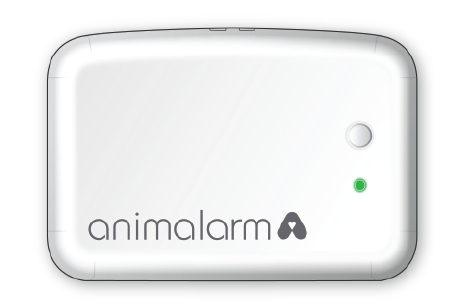 The animalarm works on the cell phone network, both the animalarm and your cell phone must have a network signal to send and receive text alerts. Provided this is the case, there is therefore no limit on where you need to be to receive an alert. How many users can be added to one animalarm? How many Remotes Sensors can be added to one animalarm? There is a maximum of 5 remote sensors per animalarm. These can be added, removed at any time on your portal. When using multiple Remotes Sensors how can they be viewed on the base station screen? 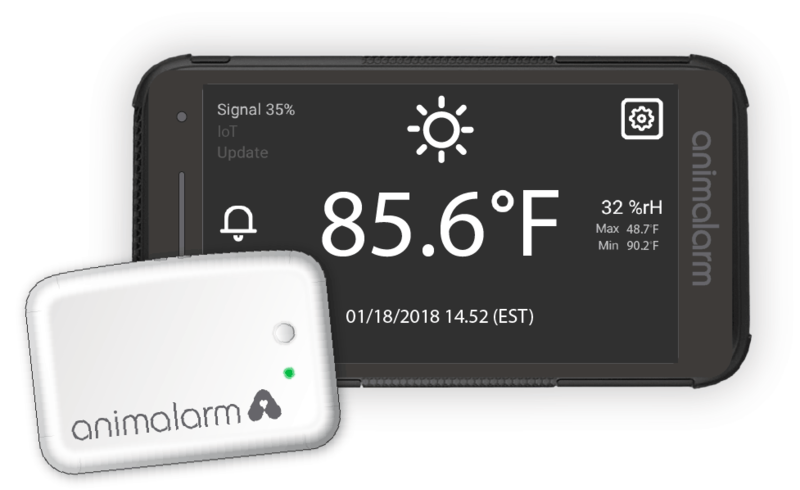 To view the different temperatures simply touch the temperature on the screen, this will then display all of the connected remote sensor temperatures. The main temperature displayed on the screen is the highest of the remote sensors that you have connected. How far away can I place a Remotes Sensor from the base station? What does text for current temperature reading mean? This ‘Polling’ facility allows any user to text your animalarm to receive an ‘INFORMATION’ text message stating the current temperature so that you will never be out of contact with your animalarm. Which countries will my animalarm work in? The animalarm utilises the gsm network because of its robust reliability and superior coverage, using quad band 850/900/1800 and 1900 MHz enabling the AnimAlarm to work worldwide. In the USA, Canada, South America and Oceania the animalarm uses 3/4G. The animalarm is provided with a roaming SIM card with worldwide connectivity and will use the local network for whichever country you are in. Can I purchase a Data Plan at any time? Yes you can purchase a Data Plan at any time. If your plan has expired or you only use your animalarm over the summer you can renew your data plan when you are ready to use your animalarm. To purchase in GBP Data Plan here or a USD Data Plan here. What temperature should I set my animalarm to? The animalarm has preset trigger temperatures at 10C/50F for the lower trigger and 26C/78F, these are the minimum and maximum temperatures recommended by vets for your dog. The trigger temperatures can be edited to your specific requirements at any time on your animalarm portal. For more information on the affects of heat on dogs please go to our Your Dog page. How long is the Remote Sensor Battery life? The Remote Sensor takes 2 x AAAA batteries, the average lifespan is 15months whilst the sensor is permanently switched on. If your base station looses connectivity to its Remote Sensor for no apparent reason it is likely that the batteries need replacing. It is recommended that if you do not use your animalarm for long periods of time that you switch off the remote sensor from the base station or remove the batteries. Is my animalarm or remote sensor waterproof? No, neither the animalarm base station nor remote sensors are waterproof. Where can I buy an animalarm? You can buy one on-line from this website, order one over the telephone or find your nearest stockist or favourite on-line pet shop on the ’Find a Stockist’ page. Does my animalarm have a guarantee/warranty? The animalarm comes with a 1 year manufacturer’s warranty, please see the animalarm warranty for more information..